How would you like to own, at an incredible bargain, ten books that readers like yourself have already voted to be the best examples of speculative fiction published in Canada? Well, here’s your chance. 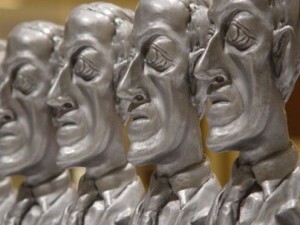 The Aurora Award Bundle contains winners and finalists for Canada’s premier speculative fiction award, the Aurora Award. 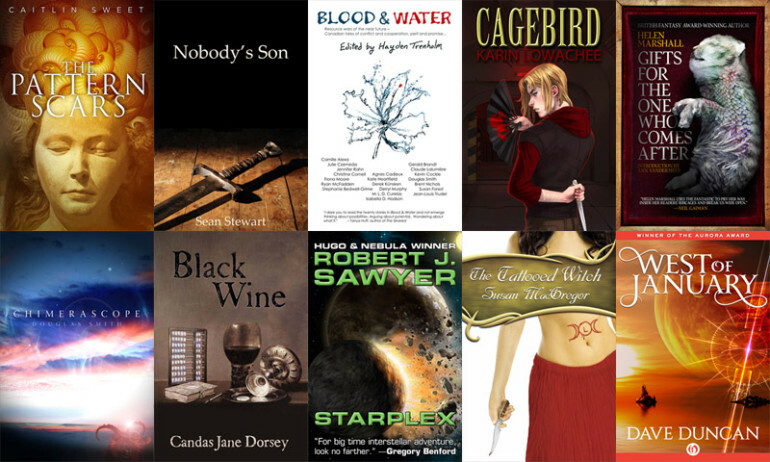 The Story Bundle curator, Douglas Smith, has won the Aurora three times and been on the final ballot another sixteen. One of his goals when putting this bundle together, aside from offering the best books possible, was to have a gender balance in the selected authors. Mission accomplished. The bundle includes five female and five male authors. You’ll also get a great mix of SF and fantasy, adult and YA novels, as well as a selection of short fiction. The bundle also reflects the long history of the Auroras, with titles spanning over twenty years of Canadian speculative fiction. You can read more about how the bundle was assembled here. Starplex from Robert J. Sawyer, takes you onboard a giant exploration starship crewed by humans, dolphins, and extraterrestrials as it embarks on a journey covering billions of years of time and millions of light-years of space. It was also a finalist for both the Hugo and Nebula awards. Dave Duncan’s West of January is a rare standalone SF novel from a master writer of fantasy series. In it, astounding world building drives a thought-provoking tale of a strange, slowly rotating planet where the habitable zone shifts over a human lifespan. Susan McGregor contributes the first book in her Tattooed Witch fantasy trilogy, set during the Spanish Inquisition and wonderfully infused with Romany culture of the time. In it, a young woman must turn to her dead mother’s magical legacy to battle the Grand Inquisitor himself. Caitlin Sweet’s The Pattern Scars immerses you in the world of a seer able to see the future but not change it. A dark, literary fantasy with believable characters and beautiful prose, the book also won the CBC Bookies Award in 2012. Candas Jane Dorsey’s Black Wine is a much-praised novel that can be viewed as both fantasy and SF. It is challenging, memorable, with the beautiful prose one would expect from cross-genre writer who is also a poet. It also won the James Tiptree Jr. Award and the Crawford Award. Sean Stewart provides an excellent young adult fantasy story with Nobody’s Son, in which the hero defeats the beast and wins the hand of the princess in the first chapter—and then learns what the fairy tales never tell you. The bundle also demonstrates the rich tradition of Canadian short speculative fiction, with an anthology and two collections. The anthology Blood & Water, edited by three-time Aurora winner Hayden Trenholm, gives us timely tales of battles over our most precious resource, fueled by climate change, population growth, and humanity’s natural aggression. Gifts for the One who Comes After, by Helen Marshall, is a brilliant introduction to the work of one of the brightest new lights in short fiction. Gifts also won the World Fantasy Award and was short-listed for both the British Fantasy Award and the Bram Stoker Award. My own collection, Chimerascope¸ contains a mix of SF, fantasy, and horror, including an Aurora winner, seven Aurora finalists, and a Best New Horror selection. The collection was also a finalist for the Sunburst Award and the CBC Bookies award. And if you are looking for still more pedigree, the bundle includes two CSFFA Hall of Fame inductees (Sawyer and Duncan), as well as a current nominee (Dorsey).